Summer weather patterns and wind direction are sure taking their time heading off. This far into March and we have not yet had any spectacular diving. Well it has to change sometime, but I don’t think the time is this weekend. Saturday looks good from a wind point of view, however the swell is supposed to peak at 4 metres on Friday afternoon with a 14 second period. That will make for very surgy diving, and even deep dives will feel the 14 seconds. The swells don’t always arrive as predicted but this evening just before sunset it was already at 3 metres and starting to ruffle a few feathers. Sadly, once again, I think we are set for a dry weekend. Sunday has more wind and less swell, and visibility will most likely be good out of Hout Bay but 15 knots of wind, 2-3 metre swells will not make for great diving. 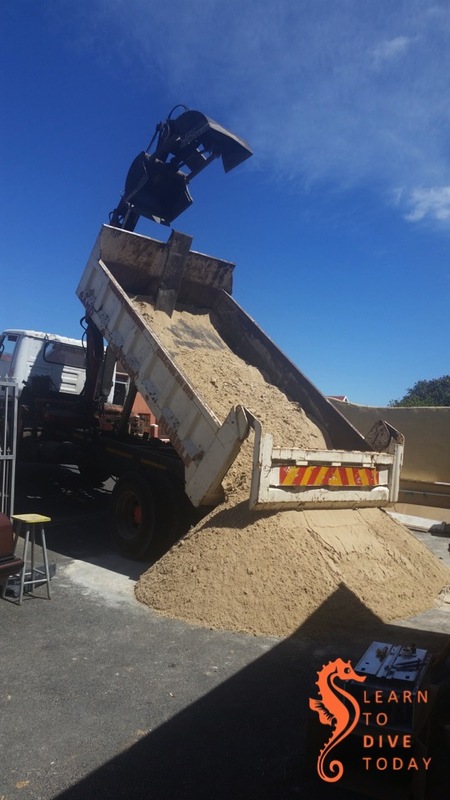 I have a sand dune at home so if you are at a loose end you are welcome to pop in and build a castle. The south easter has been blowing for a while now… Almost non stop. 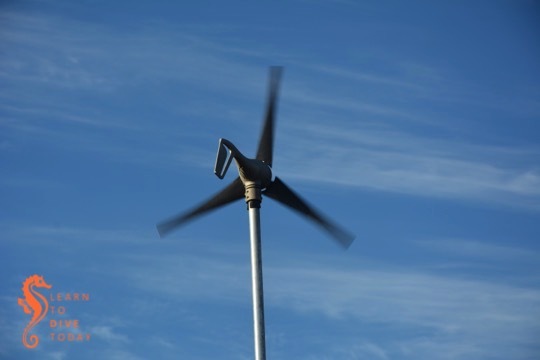 Windy, our wind generator at home who generates about a third of our monthly electricity requirements, has been having such a great time that she almost fell off the roof this week. She brakes herself when the wind reaches 78 km/h, and on several occasions the wind gusts exceeded that. The Atlantic went from clean and cold, to cleaner and colder. The water colour in False Bay is not that bad but the surface conditions are pretty hectic. Fortunately I have had a lot of students requiring pool time so we have at least been getting wet. There is wind and some swell for the weekend but I do believe that there is a possibility that Hout Bay will be good on Sunday. I have a bunch of students so will plan for both morning and afternoon dives, wind and swell dependent. If the wind is driving you crazy too, check out the suggestions for land-based marine-related entertainment in last week’s newsletter. After examining the year’s worth of temperature and rainfall data from our home weather station, we get to the fun stuff: wind. 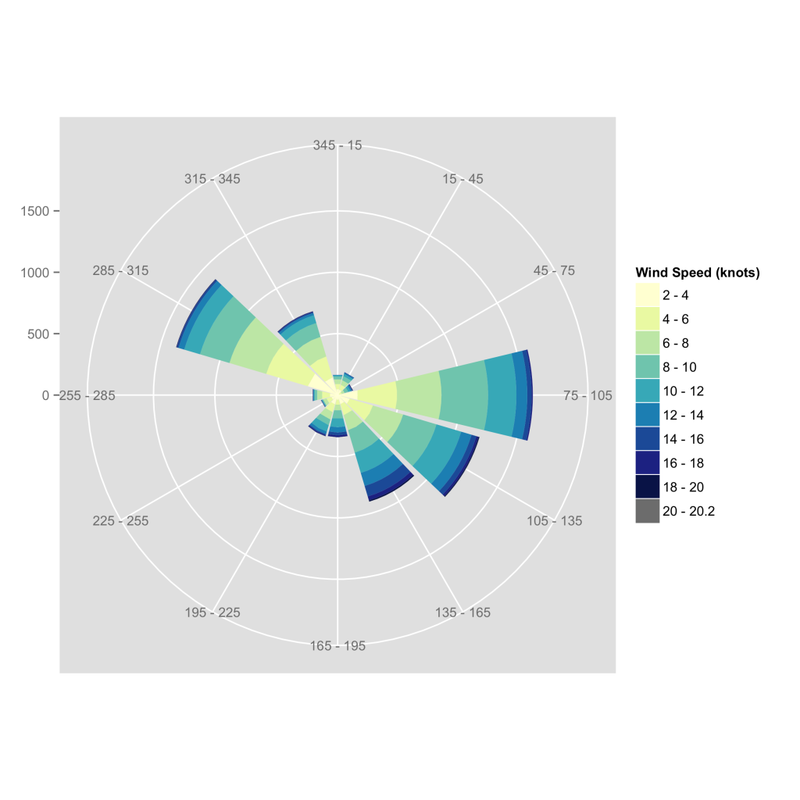 To visualise wind data, we use a construct called a wind rose. You can think of it like a compass, with north at the top and south at the bottom. We use the compass to display two pieces of information about the wind: its speed, and the direction from which it blew. We represent the speed of the wind by a colour scale. In these wind roses, the strongest winds are dark blue to dark grey, and the lightest wind is yellow and pale green. The direction that the wind came from is plotted directly onto the compass: the more the wind blew from a particular compass heading, the longer the segment on the chart. The compass is divided into twelve segments of thirty degrees each (12 x 30 = 360 degrees). In the wind rose above, you can see that the single most common direction from which the wind blew at our house between December 2013 and November 2014 is from headings between 75 and 105 degrees: easterly. The next most common wind direction was from headings between 285 and 315 degrees: a north wester. Next most common were south easterly winds (105-135 degrees), and then south south easterly winds (135-165 degrees). This summarises the wind regime in Cape Town: south easterly winds in summer, and north westerlies in winter. We can blame the South Atlantic high pressure for this. It is clear from the seasonal division of the data that the clearest wind regimes occur during the summer (east to south south easterly winds) and winter (north westerly winds, some of which are warm berg winds preceding cold fronts). During spring and autumn, we get wind from all directions, but a lot of easterly winds in both those seasons. 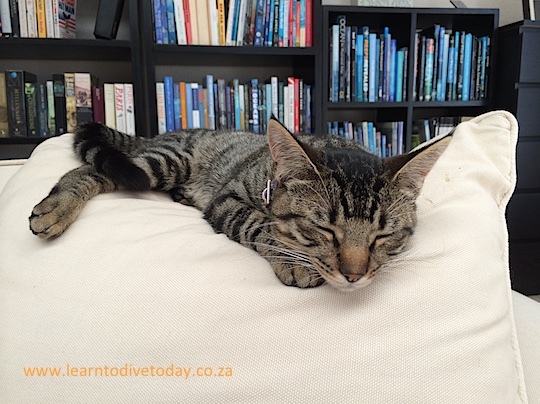 Unfortunately an easterly wind makes diving on the western side of False Bay very unpleasant – those are the days we stay at home and work in the pool! One thing that’s important to keep in mind when looking at these charts is that the wind differs quite a lot at a given point in time, all around Cape Town. 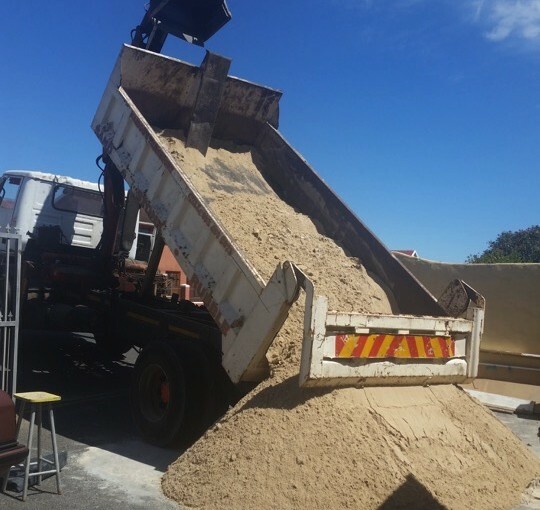 Both direction and strength can be modified by mountains, of which we have many, and data collected in Sea Point, Newlands or Kommetjie over the same time period would possibly look quite different. We’ve figured out what it means for False Bay when our weather station registers a particular wind strength or direction, but these readings aren’t exactly what you’d get if you went out in the bay. The wind on the bay is stronger than it is at our house during summer (no mountains to obstruct the south easter), and less forceful in winter (it has to blow over the mountains to get to False Bay). 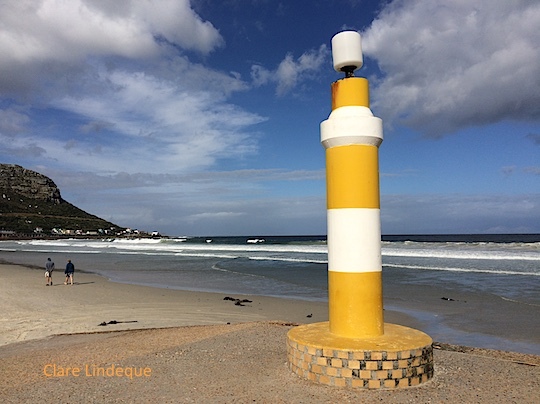 We’ll refer back to these weather station posts in another series of posts I want to do when I get a chance, about understanding False Bay’s weather patterns and their effects on the sea state. Stay tuned. 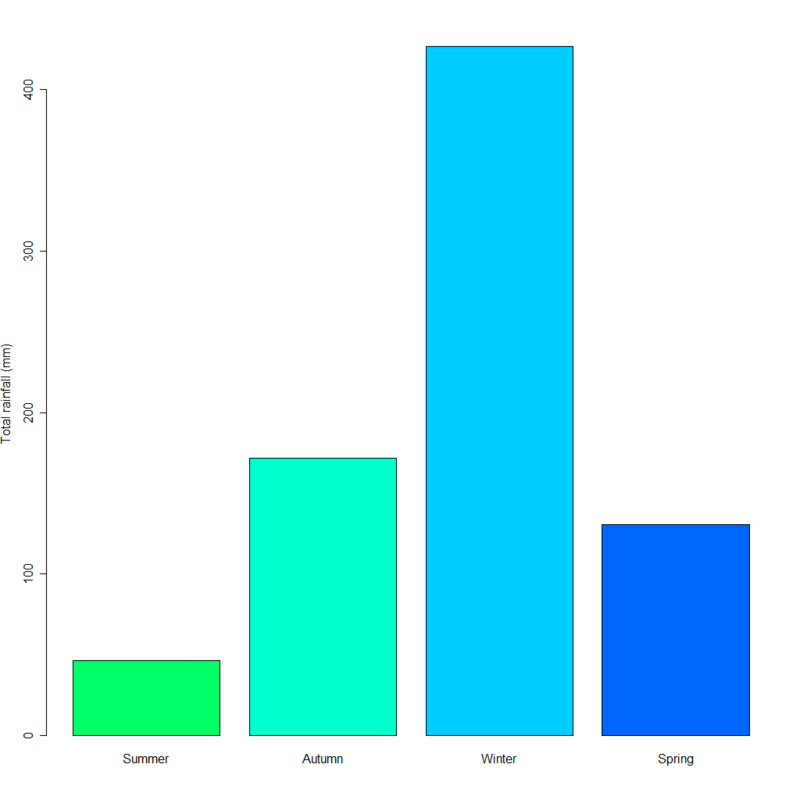 Continuing our exploration of the delicious weather data set that our weather station has generated over the last year and a bit, here are some easy to read rainfall charts. Each vertical bar represents the rainfall for a particular month. Total rainfall at our home in Sun Valley from December 2013 until November 2014 was 775.3 millimetres. To put that in perspective, rainier areas of Cape Town such as Newlands can have 2,500 millimetres of rain in a year. Lo and behold, we now have a year and a bit of weather station data, collected at home in Sun Valley. We derive an enormous amount of utility and enjoyment from the weather station (being unashamed weather nerds), and I am very excited to get my hands on a good chunk of data to visualise. 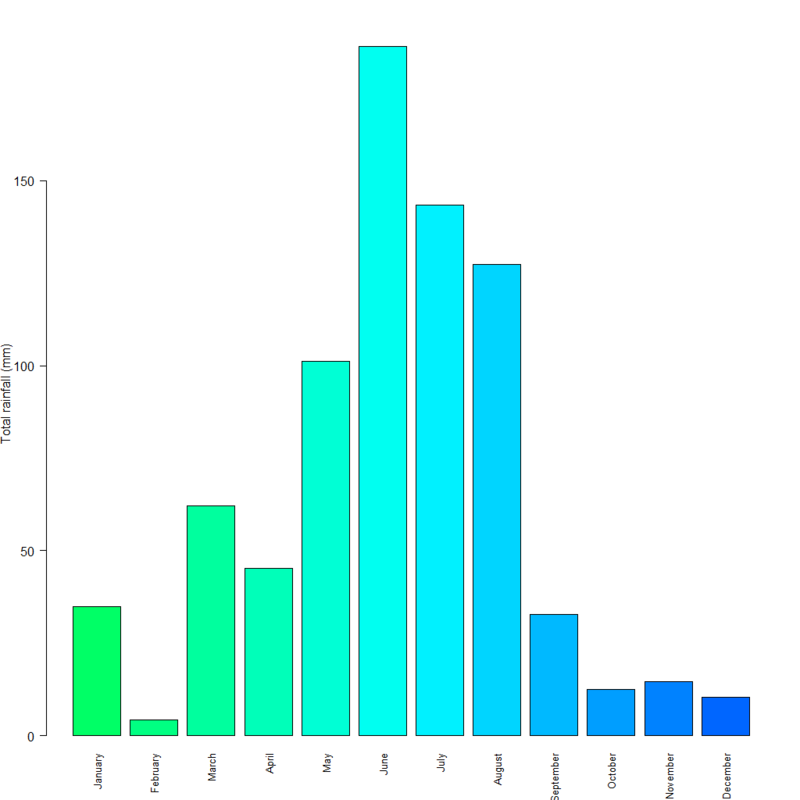 I used R for the charts in this and the following two posts. 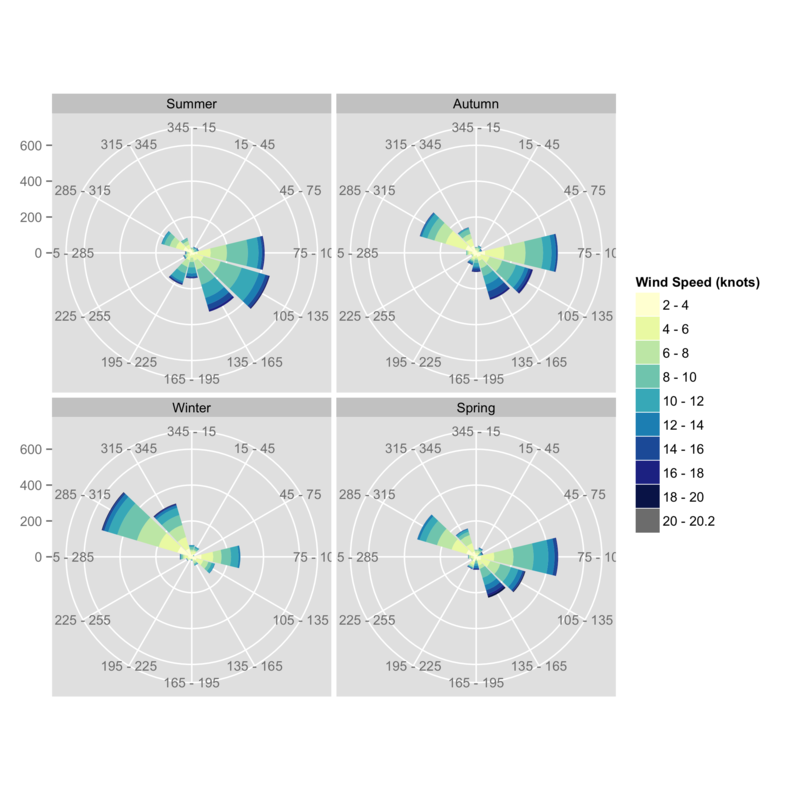 I haven’t got my head around ggplot2 (one of the powerful plotting packages built for R) in a very meaningful way yet, but I’m using the weather data as a fertile field for my plotting experiments. The charts I’m going to show are using 12 months of data, but not a calendar year. The data runs from the start of December 2013 until the end of November 2014. 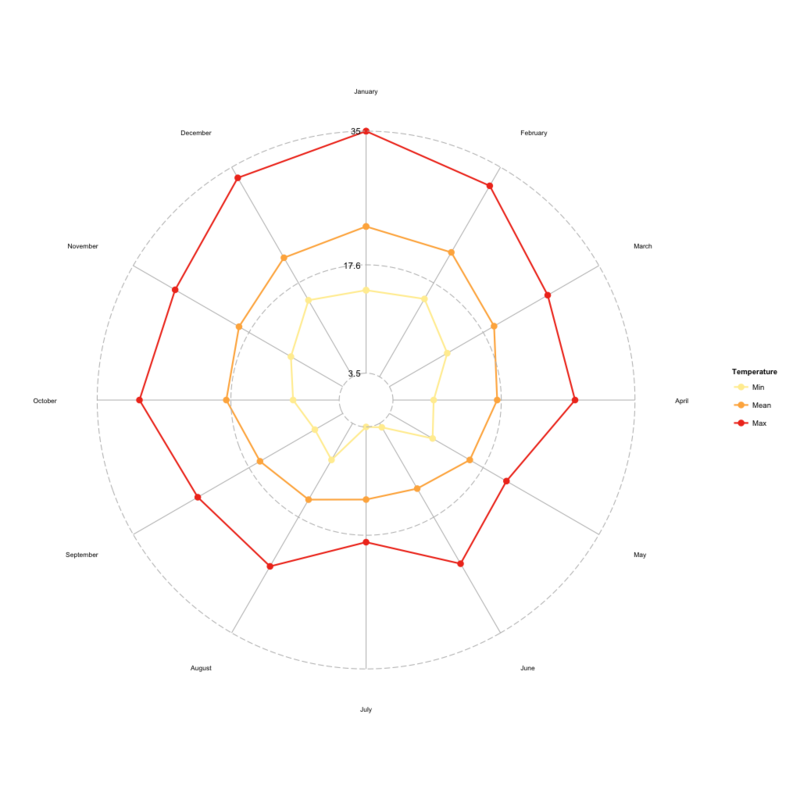 I chose to plot the temperature in a radial chart. Each axis represents a month, and the minimum temperature for the month is shown in yellow at the centre of the axis. 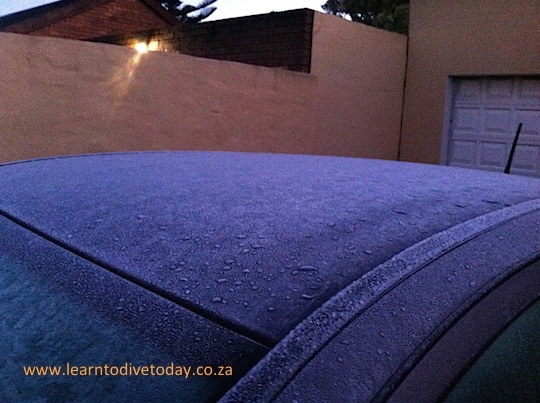 The year’s lowest temperature was on 7 July, and was recorded as 3.5 degrees. That morning Tony poured warm water into our little pond at the front door, to provide some winter cheer to the tadpoles, and my car was covered with a coating of ice. I am depressed – just looking at this photo – by how gloomy it is at 7.30 am in winter. The orange line is the average temperature recorded each month. It lies around a dotted grey line with a label of 17.6 on it; this is the average temperature for the year, and is quite close to the annual average temperature that I generally hear bandied about for Cape Town of 18 degrees. The red line around the outside of the chart shows the maximum temperature each month. The maximum for this year of data was a round 35 degrees recorded in January. I haven’t split the temperature chart seasonally, but as a general rule of thumb in Cape Town (that I think I got from Lawrence G. Green, rather than the equinoxes and solstices) you can think of winter as starting on 15 May, spring on 15 August, summer on 15 November, and autumn on 15 February (though personally I think autumn is short and only kicks in during mid to late March). So if you imagined drawing an X over the radial chart, summer would be between the upper two arms, and winter at the bottom. We have a training pool that is just the right size for the small groups of students that Tony prefers to teach. It’s an ideal size to heat up, and in order to make it as comfortable as possible to spend extended periods of time on skills, we’ve taken a couple of measures to make the water as warm as we can. 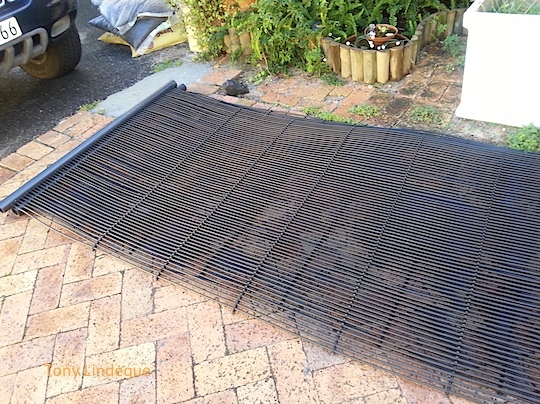 The first, which we fitted when we installed the pool, is a thermal cover that both warms the water and reduces algae growth. It looks like grey bubble wrap, and works like a bomb – it raises the water temperature up to four degrees higher than the air temperature (and if you don’t run the pump to mix the heated layers, you can get an impressive thermocline!). Of course, to get the benefit of the pool cover, it has to be on at least some of the time, which is a challenge during the summer months, when there’s always someone in the pool! 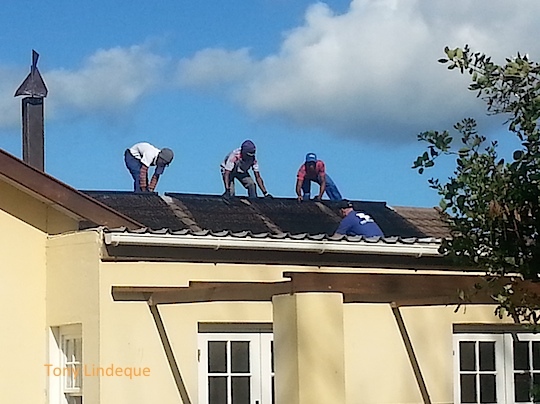 The second measure we took to warm the pool was to install solar heating panels on the roof. 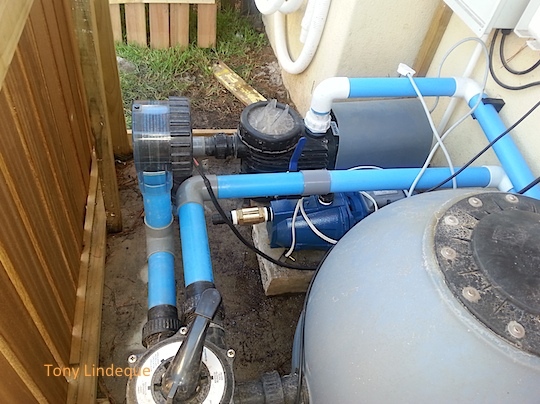 These panels consist of a fine network of tubes made of tough HDPE, through which the pool water is circulated and then returned to the pool. 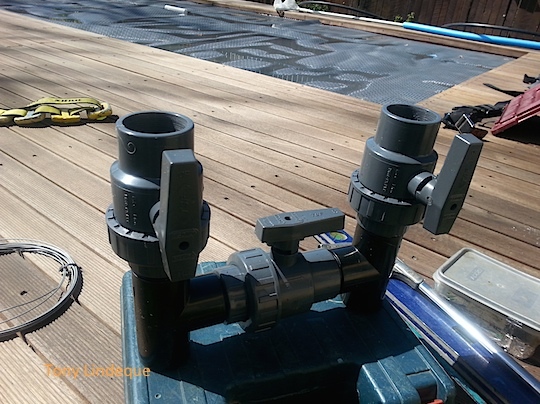 The existing pool pump is used (this is why we fitted a more powerful one than the size of the pool warranted when we did the initial installation) and the heat of the sun warms the panels directly, as well as warming the roof which warms the panels from below. We fitted them on the north-facing sloping area of our roof. As a rule of thumb the number of panels needed is one for every two square metres of pool surface. Our pool is 5×3=15 metres square, so we have 7 panels (which is 15 divided by two, and rounded down). The pump has a manifold fitted, which allows us to decide when we pump water onto the roof, and when we don’t bother. During the winter, when it’s quiet, or raining, we can isolate the panels and just run the pool pump as normal. This also saves electricity during the time of the year when it’s most in demand inside the house. I learned to dive in Cape Town in the month of July, and the training pool was 9 degrees and I was almost physically ill when I submerged myself. It was very unpleasant. For several years afterwards it was the coldest water I’d ever been in, until a freezing dive at Tafelberg Reef in the Atlantic took over pole position. 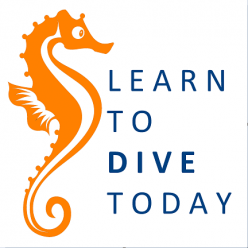 I am happy to say that we at Learn to Dive Today are doing our bit to ensure that fewer Cape Town dive students have to suffer as I did! The wind has been a little unkind for a while and last weekend and much of this week we have just had howling south easterly winds. The Atlantic is clean, but cold, and False Bay is green but relatively clean a little offshore. The weekend gives us a wind break and both Saturday and Sunday can work for diving. Sunday has a little less wind and swell so I think that will be the better day. I think it is a 50/50 chance that either False Bay or Hout Bay will be good, but will make that call on Saturday afternoon. Text or email me if you want to dive and where, and we can see who wins! We’re having an open house on the afternoon of Saturday 13 December at 2.30pm – sort of an end of year get together (we haven’t figured out what to call it yet). We’ll be doing try dives in the pool for any friends and family who want to experience scuba diving, at no charge. If you have any new gear you want to test out you’re welcome to do that in the pool too. Alternatively you can just paddle around in your water wings. There will be snacks and drinks (if you rsvp!) and those of you who have exams and quizzes that need completing can get those done at the same time. We’ll send out a proper invitation in a week or two, but if you’re going to be in town we’d love to see you. Our hundreds – nay, thousands – of cats spend a lot of time inspecting the various items of equipment that Tony uses to execute his job. 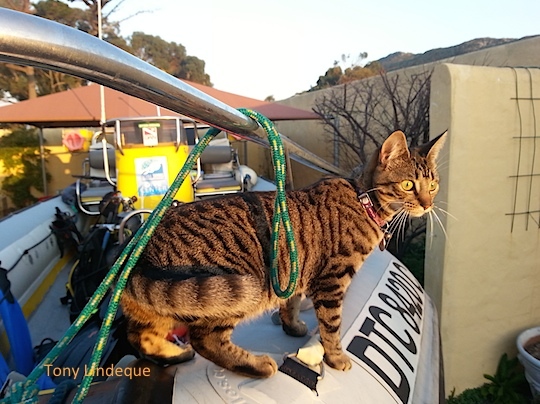 Here, Dixie investigates the bow of Seahorse, still (or already) loaded with dive gear. 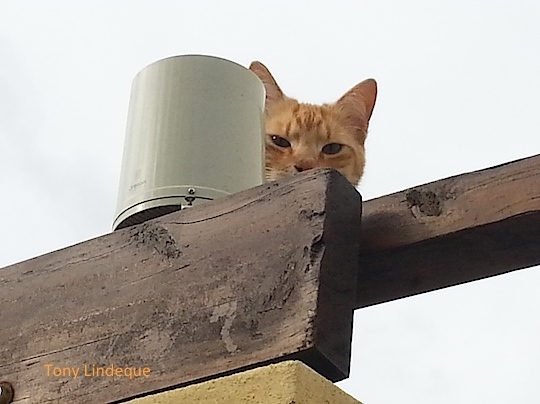 Fudge has taken it upon himself to ensure that the weather station at home remains in working order. Diving science and physiology – the stuff you have to learn for your Divemaster course, but some good reads despite that!